How do I behave as a coach towards a team of teenagers in their puberty? Who has never been responsible for a team of young people in their puberty, has missed a lot. If you think that you already have enough problems with the little ones, wait until they grow up because that is when the fun begins. Strange changes, especially concerning their behavior, start to happen. It comes unexpectedly: the puberty! It is a bit similar to the difficult age of children. Puberty means finding oneself and the search for independence. Your glorious times as a coach for the kids belong to the past, as well as the children’s goal to be like their own parents. Everything that was worth striving for before is questioned from now on. As a coach you always have to keep in mind: the foundation for a good relation with the children is built before the puberty. If you do not manage to do that you will only have few possibilities to build up a good connection during the puberty. But without a functioning family, you are probably going to be helpless during this development stage, even with a good relation to the players. Today, girls enter puberty at the age of eleven or twelve, boys at the age of twelve or thirteen. It mostly ends at the age of 17 or 18. But do not rely completely on the age references, because puberty can also start later or end earlier. The body starts to change. The young people reach sexual maturity and become adults. Emotions are running high. The need for independence arises and often teenagers fall in love for the first time, experiencing all the problems that come along with it. They are very sensitive and can be hurt easily on an emotional level. On the one hand the teenagers are already adults, but on the other hand they are still children, at least when nobody is looking. They pretend to be “cool” to hide their own feelings. They live in their own world which often leads to the identification with a group. That is where they feel comfortable, where they can dream about changing the world. Why can’t this be a soccer team? Young people in their puberty keep their distance from the adult world, try to find their own way and that is why they often become unbearable. Nevertheless, they need to be supported during this time so they are able to bear the ongoing pestering. They are looking for ideals and role models, so why not look for it in soccer? Furthermore they need a sense of achievement so they do not develop a lack of enthusiasm which can very harmful to the rest of their lives. Most teenagers experience a sense of achievement while doing sport and that is your opportunity as a coach. Those achievements are not the results of a game, but the fun of shared experiences in a community. 1. Stick to the current rules of behavior. Place special emphasis on these rules, be consistent. 2. Give the adolescents more freedom. Supervising them like children is not necessary anymore and should not be done. But be careful, think about your responsibility. You need to consider how much freedom you can allow exactly. 3. You must never give up on a child in its puberty. Try to keep the children on the team. 4. Do not try to be cooler than the kids. They won’t accept that as they want to be different from you. 5. Discussions and talks are desired. Do not try to lecture your players, let them get a chance to speak. Take your own point of view and stick to it. 6. Do not avoid conflicts. Even the teenagers do not like sitting out a conflict. 7. 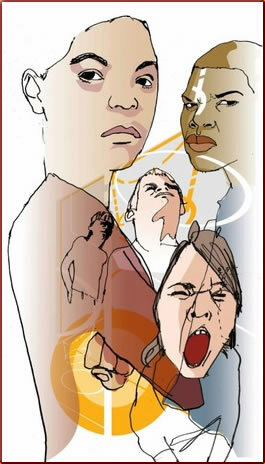 Do not take the teenagers’ behavior personally and do not let them provoke you. Kindness and consideration is always the best choice, though it is not always the easiest. 8. Admit your own mistakes. Only then will the teenagers accept you and follow your lead.